Acko General Insurance has some marquee names in its corner, counting Infosys co-founders NR Narayana Murthy and Kris Gopalakrishnan and e-commerce giant Amazon among its investors. 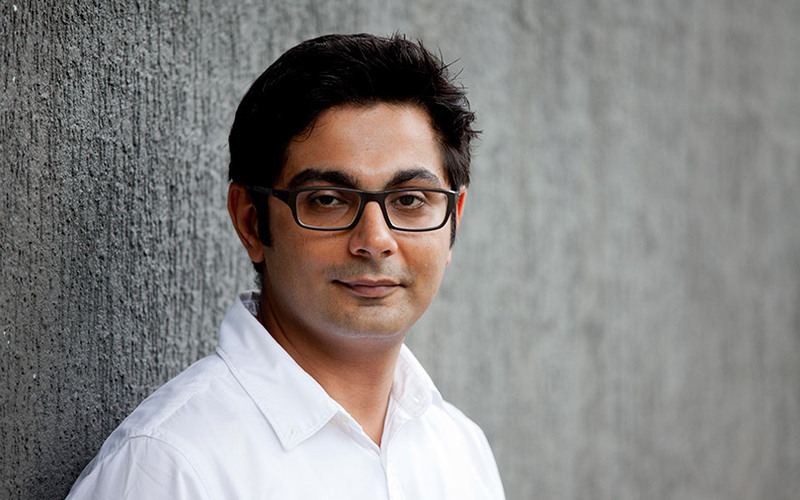 Founder and chief executive Varun Dua launched the online insurance startup in 2016 after quitting his previous venture, insurance aggregator Coverfox. The first online-only general insurer in the country, Acko quickly attracted attention from prominent venture capital firms such as SAIF Partners and Accel Partners. It has raised more than $42 million in less than two years, including a $30 million round last year which Acko claimed was among the largest seed cheques for an Indian startup. After awaiting approvals, Acko is now in the middle of its first full fiscal year since formally starting operations and is offering personalised products based on user behaviour. In an interaction with TechCircle, Dua discusses how data plays a key role in the insurance business, the advantages of operating online and whether he is competing with Coverfox. How would you describe the transition from being an aggregator with Coverfox to an independent general insurance firm with Acko? Most online players are about distribution. We are a full-stack insurance company creating policies and taking risks on our balance sheet. This allows us to come up with innovative products, new pricing techniques and delivery models that have not been thought of or are not the focus areas of traditional companies. While at Coverfox, I saw plenty of gaps in products and new innovation that was coming to the internet sector. I wanted to step out and look at things from a different perspective. What are the new products that you are looking at? We have two broad categories of offerings. One is the traditional category of auto insurance, which is often the first one that moves online. Globally, the share of online sales for auto insurance is 30% while in India it is still below 5%. It will be a $10-15 billion market in the next five years. We will launch health insurance next year. The other portfolio is the new products we are innovating. For instance, we recently launched an initiative with Ola where passengers can insure themselves against accidents or if their plane takes off while they are riding in a cab to the airport. That is a new-age product riding on the internet economy. Similarly, we will launch some products with our investor Amazon and other internet companies for multiple products. What do you plan to do with the $12 million you raised in May? We are a 100-strong workforce based out of Mumbai and Bengaluru. With the latest investment, we plan to grow our tech team from 40 to around 100-120 employees in the next six months. We have a lot of experience on the insurance side and most of our hiring is for tech, user experience and data analytics these days. Insurance is largely a data and pricing operation. If you get that right, you can be a successful and profitable enterprise. We will also invest some money for branding as we need to establish trust when we are competing against the likes of the Tatas, ICICI and HDFC. Absolutely not. According to the regulator, the broker and the insurance company cannot be the same. We ought to be different entities. Both companies are at arm's length and have different boards. Also, we both have completely different models and are chasing different consumer sets. At Acko, we need more capital as the regulator insists that we need a paid-up amount of somewhere between Rs 100-400 crore. And at scale, it goes up because you need to have the ability to pay claims. Even as a market leader, we need not be profitable. The pricing and underwriting model needs to be strong and it should be for the right set of consumers. But if it is only distribution, the scale does not matter as you are not carrying any risk on the balance sheet. It is different economics. There are several insurance companies in the offline space, so what are the advantages that Acko is bringing to the table? There is room to be innovative. Take the case of auto insurance for instance. Unlike health or life insurance, it is a price-sensitive category. It is mandatory and transactional and you can change players every year. In the US, there are internet-only auto insurance companies like Berkshire Hathaway firm Geico, which is big and profitable. They can win market share because the expense structure of these companies is very low and they pass on these benefits to the end customers - and then you can grow even faster and bigger. Online companies can gather far more data on the customers, which is limited in offline and online distributor models. Can you elaborate on that point with an example? How many kilometres you drive daily or how many kilometres a car has travelled so far can be factored in for defining my risk. The insurance business is all about defining the risk better. If your customer drives less, the risk is less and I can offer him a lower premium. It becomes a data game in the digital-first model. The more information we collect, our data analytics becomes stronger and better in understanding the model - and it is a globally-proven model. Are you doing this as of now? We don't have that kind of data yet. The cycle will take 12-24 months to play out. In terms of pricing, we are already better than the other players because of our structure and model. What are the chances that you could end up miscalculating and paying higher claims for the first three to four years? Even at this stage, there is a reasonable amount of predictability when we look at the scale. It is not blind underwriting. We have far more data than others in the market. We cannot publicly discuss our model, but there is enough industry data as well to start with and identify a pattern. Every offline player is looking at it, but their distribution is physical and there you don't get non-claims data. Will you consider offline distribution at some point? We will engage with traditional offline distributors, where again massive changes are happening, but we will not end up doing business in a traditional way. We will have a clear idea about this in a couple of years from now.